As a thank you for your hard work, the Washington Nationals will host two dedicated nights for education professionals this season! Join thousands of your hard-working colleagues and enjoy a fun-filled night at the ballpark with exclusive ticket specials, including a unique Nationals themed promotional item. Friday, April 26 vs. San Diego Padres at 7:05 p.m.
Friday, Sept. 27 vs. Cleveland Indians at 7:05 p.m.
Prices range from $17 to $65. The largest represented group will be rewarded with the opportunity to designate two people to hold the finish line for the Geico Presidents Race during their specific game. To purchase tickets and learn more, visit www.nationals.com/teachers. If you plan to bring a group of 12 or more people, purchase your tickets now and avoid additional ticket fees by calling (202) 640-7687 or emailing chris.murphy@nationals.com. 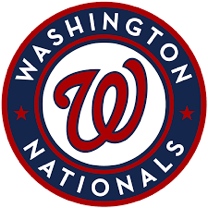 The Nationals are also offering season-long ticket discounts for all education professionals. Go to www.nationals.com/VIP and use the coupon code TEACHERS.